One of MMA's pound-for-pound greats competes again this weekend in the co-main event of UFC 227, which takes place this Saturday at Staples Center in Los Angeles, California. That's when Demetrious "Mighty Mouse" Johnson takes on Henry Cejudo in a rematch with high stakes. That's because with every win Johnson picks up, he helps to extend his lead as the greatest flyweight champion of all time, as well as one of the greatest champions overall in UFC history. A win over Cejudo, who Johnson knocked out two years ago at UFC 197, would give Johnson 12 straight title defenses, which would be two more than Anderson Silva, and which would make it very tough for anyone else to break. 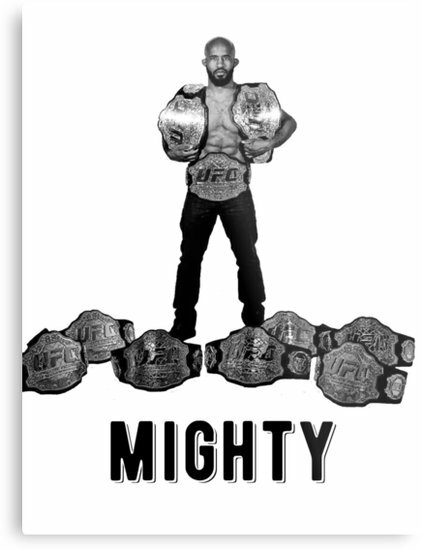 It's possible we are in the midst of the greatest championship run in UFC history. Johnson's current run at flyweight is unprecedented, as he's presently on a 13-fight win streak and 14-fight unbeaten streak overall. Obviously, that's the best mark for a flyweight ever, but Johnson's name is up there with the greatest fighters of all time in any division. He's currently tied with Jon Jones and Georges St-Pierre for the second-longest UFC win streak at 13, and a win over Cejudo on Saturday night would put Johnson in second place, just behind Silva and his 16 straight wins. We thought for a long time that Silva's record would never be broken, but Johnson may be the guy who breaks it. He isn't that far off, and by taking on a guy like Cejudo who he already dominated once, it gives Johnson a bit of an easier path to breaking the record. 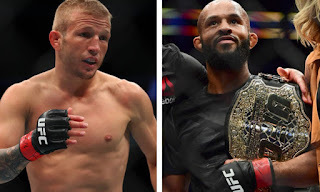 Although Johnson won't admit it, you have to think he didn't want that fight with UFC Bantamweight Champion TJ Dillashaw, which is a risky fight, when there are other flyweights who are beatable. Until Johnson has overtaken Silva's consecutive UFC wins record, I don't think you'll see him doing anything like taking a fight against a dangerous guy like Dillashaw. But at the same time, although a win over Cejudo would help push Johnson to rare territory in UFC history, it's a double-edged sword in that fans just don't seem too interested in this fight right now. Even though Johnson is winning, fans just haven't really gotten behind him like they should for a guy with his kind of record. Many fans are just used to Johnson being so dominant. Remember, with Silva, fans didn't really get behind him until his first fight against Chael Sonnen, in part because he had just run through everyone he faced before that. Even though we should all respect and admire the greatness of Johnson, fans do want him to get tested in a competitive fight. So it would be great for a rival to Johnson to emerge. We thought for a while that would be Joseph Benavidez, but after a close first fight, Johnson brutally knocked him out in the rematch, and that rivalry was never viewed the same way. The UFC hopes that Cejudo can be the guy who can give Johnson problems, but even with his recent improvements, it's hard to forget how badly DJ beat him the first time they fought. There won't be any asterisk or anything besides Johnson's name for a second win over Cejudo, but I think a lot of fans would prefer he broke Silva's record by fighting an elite type of talent like Dillashaw instead. There's no doubt that Demetrious Johnson is one of the greatest MMA fighters of all time, and his resume speaks for itself. These are the men Johnson has defeated as a flyweight: Benavidez twice, Cejudo, Ray Borg, John Dodson twice, Wilson Reis, John Moraga, Kyoji Horiguchi, Tim Elliott, Ian McCall, Chris Cariaso, and Ali Bagautinov. 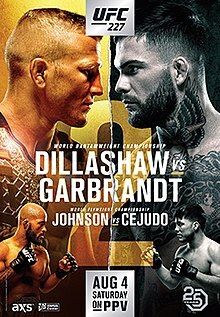 That's an amazing win streak, and Johnson will look to build on it with a second win over Cejudo at UFC 227. 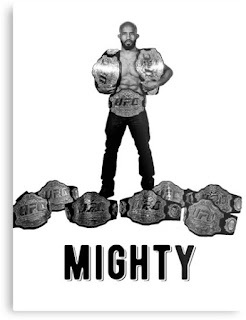 "Mighty Mouse" is closing in on some very exclusive records in MMA lore, and until he gets those records, I think you'll see him stick around 125 lbs, even if there are some calling for him to move up to 135 lbs and succeed in a second weight class, like greats Silva and GSP did. But for now, he will keep on winning at flyweight. That might not be good enough for some people, but for others it's just fine. Because even if you don't like Johnson, you have to respect him, and if he beats Cejudo for a 14th straight win this Saturday, the UFC's all-time consecutive wins record will be within reach. And unlike many of the other so-called "all-time greats" of MMA, Johnson's not even close to being done.